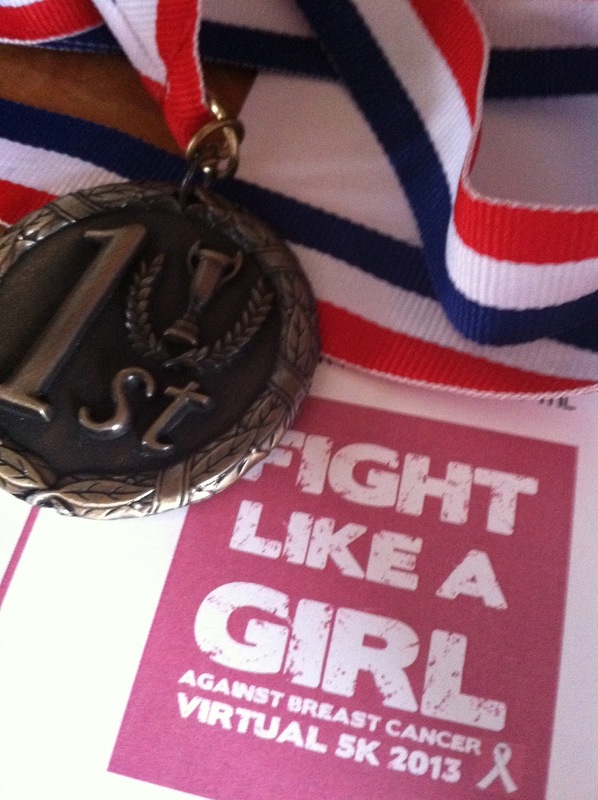 Last week Amy @ Running Escapades tagged me as a Very Inspiring Blogger. Thank you, Amy! 4. 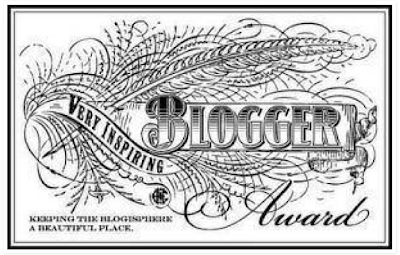 Pass the award along to up to 10 favorite bloggers. I'm going to take Amy's lead - and alter it a bit and tell you 7 things that I'm loving right now. 1. The weather. The past week has been absolutely gorgeous!!! 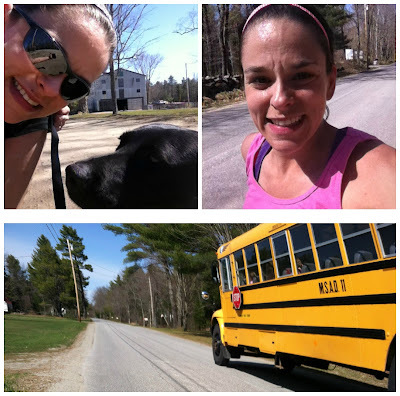 I am loving my afternoon runs either solo, with Pepper, and waving to Tucker as he rides past me in the school bus! Sometimes I like to think I'm racing the bus. 2. My new bed. After spending the night at Ward's aunt and uncle's house in April and sleeping on the super comfortable bed in their guest room, we decided that we needed to get a new mattress. We have been sleeping on an old, full sized mattress for years. Let's just say it was a bit cramped when Izzy would join us. 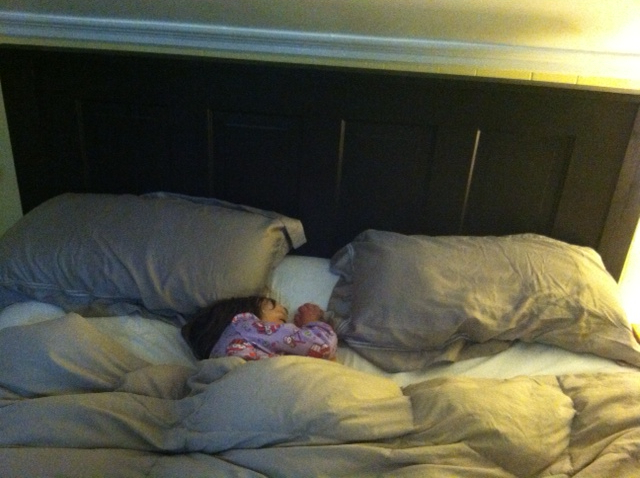 The problem is that we really liked our iron bed. After much discussion and trying out mattresses, we upgraded to a queen and Ward built us a new bed. We feel so grown up! 3. The other day I received an unexpected surprise in the mail. I ran a virtual 5k for my friend Amy's co-worker a few weeks back and I apparently came in 1st for my age group. Awesome! 4. My new Garmin! To be honest, I haven't been using my older green 405 Garmin a whole lot lately. I've only been using it for races and was set on just keeping it. But then Garmin had to go and make a purple Garmin 10 and I fell in love. Granted, it has a lot less bells and whistles than the 405, but I actually like it a lot more than the 405 for that reason! 5. My April mileage! 202 miles is huge for me. 6. This little cheerleader and her sense of style. Last weekend she came out to welcome me home with this little outfit on - you can't see them, but she has on her bathing suit bottoms on as well. Freakin' adorable! 7. I have a little speedster! Tucker's had this go cart for years. But he's been too short to drive it alone until recently. All of a sudden he's a big kid. I cannot believe he's going to be 10 years old in a couple of months. Where has the time gone? 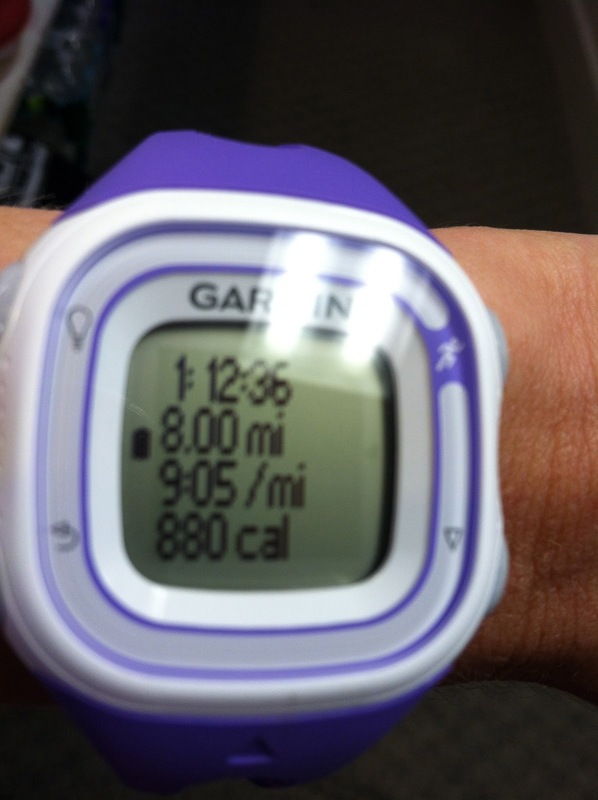 Oh, I am loving the purple Garmin! and how awesome that you get to see Tucker drive away on the bus! Thank you so much for the nomination!! xoxo love you! Holy wow! 202 miles is fantastic!!! Rock on girlie! I am impressed you had a double bed for so long! We upgraded to a king not long after we got married, of course some nights both kids think they need to sleep in it with us and it doesn't fit too bad. 202 miles....way to go!!! Yes this weather has me in a very good mood...my girls too! I love the outfit choice!!! She is such a cutie! Your mileage was INSANE! You are going to crush sugarloaf! 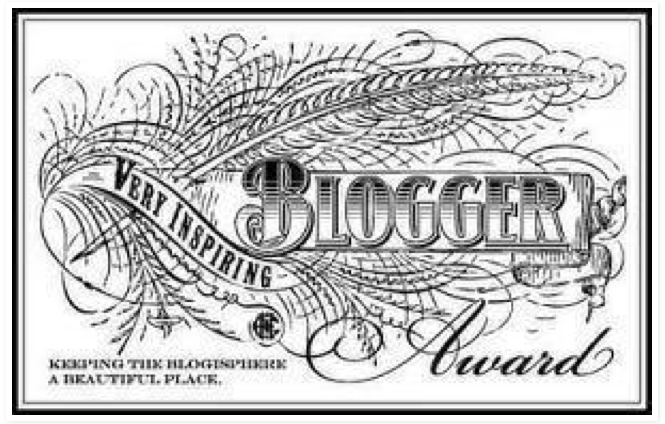 Thanks for nominating me for the award! Congratulations on burning up the road with your mileage last month. That's amazing! 202 miles?! That's dang amazing, way to go! !